This outstanding example of a 2017 Porsche 911 Carrera S is offered by Princeton Porsche. Drive home in your new pre-owned vehicle with the knowledge you're fully backed by the CARFAX Buyback Guarantee. With its full CARFAX one-owner history report, you'll know exactly what you are getting with this well-kept Porsche 911. If you're looking for a great pre-owned convertible, look no further. This exceptional car has all the features you want. Opulent refinements married with exceptional engineering make this the kind of car you'll want to own for a lifetime. Added comfort with contemporary style is the leather interior to heighten the quality and craftsmanship for the Porsche 911 With complete records on this pre-owned vehicle, you'll have peace of mind and the satisfaction in knowing your new purchase is safe and reliable. This gently driven vehicle has been well-kept and still has the showroom shine. Price. Performance. Protection. This vehicle has it all, including a manufacturer's warranty. If you're looking for world-class speed, acceleration, cornering and handling, don't blink because you'll miss this truly amazing automobile. You can take the guesswork out of searching for your destination with this Porsche 911 Carrera S's installed Navigation system. The paint on this Porsche 911 Carrera S is flawless; no scratches, no blemishes, no need to spend extra money on touch ups. The Porsche 911 Carrera S is exactly what you would expect out of a Porsche. It's decadently opulent, meticulously engineered and unapologetically grandiose. 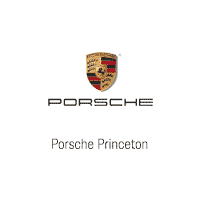 This 2017 Porsche 911 Carrera S is offered to you for sale by Princeton Porsche. Drive home in your new pre-owned vehicle with the knowledge you're fully backed by the CARFAX Buyback Guarantee. This well-maintained Porsche 911 Carrera S comes complete with a CARFAX one-owner history report. It's like taking a beach vacation each time you slip behind the wheel of this seductive, sporty convertible. You appreciate the finer things in life, the vehicle you drive should not be the exception. Style, performance, sophistication is in a class of its own with this stunning Porsche 911. Intricately stitched leather and ergonomic design seats are among the details in which test drivers say that Porsche 911 is in a league of its own With all records included, feel comfortable knowing that the history of this Porsche 911 Carrera S is provided in order for you to make a knowledgeable decision. Rare is the vehicle that has been driven so gently and maintained so meticulously as this pre-owned beauty. This finely crafted vehicle is engineered to last. But just in case it doesn't, you can take comfort knowing it comes with a manufacturer's warranty. Time is money, and thanks to the navigation system on this Porsche 911, you'll be spending a whole lot less time getting to your destination. How's the paint you might ask? It's flawless. One of the best finishes we've ever seen. Princeton Porsche is honored to present a wonderful example of pure vehicle design... this 2017 Porsche 911 Turbo only has 20,823mi on it and could potentially be the vehicle of your dreams! How to protect your purchase? CARFAX BuyBack Guarantee got you covered. The CARFAX report for this 2017 Porsche 911 Turbo highlights that it's a One-Owner vehicle, and for good reason. A One-Owner vehicle gives you the feel of owning a new vehicle without paying the new car price. This vehicle has surpassed all inspections to achieve Certified Pre-Owned status. Opulent refinements married with exceptional engineering make this the kind of car you'll want to own for a lifetime. Enjoy driving? Well now you will get more thrills behind the wheel thanks to the heightened performance of AWD. Better handling. Better traction. Better driving experience. This vehicle has extremely low mileage on the odometer, so while it's pre-owned, it's practically new. Added comfort with contemporary style is the leather interior to heighten the quality and craftsmanship for the Porsche 911 This Porsche 911 offers the most up-to-date navigation system available so you'll always know the most efficient route to where you are going. Feel at ease with your purchase of this Porsche 911 Turbo, all records are included allowing you to truly know what you're buying. Although this 2017 Porsche 911 Turbo is technically a pre-owned vehicle, the clean and spotless interior could fool even the toughest critic. A vehicle as well-maintained as this Porsche 911 almost doesn't need a warranty, but you rest easier knowing it comes covered with the Porsche factory warranty. The incredible 2017 Porsche 911 Turbo is an invigorating performance machine that will pump adrenaline into any driver who dares to take the wheel. Do you really need any other reason to want one? Finding a pre-owned vehicle with flawless paint is a rare find, but you've done just that. The paint on this Porsche 911 Turbo is flawless; no scratches, no blemishes, no need to spend extra money on touch ups. This is your chance to own the very rare Porsche 911.